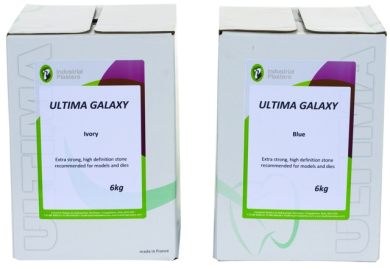 Ultima Galaxy - Industrial Plasters Ltd.
Ultima Galaxy is our hardest Class 4 diestone. 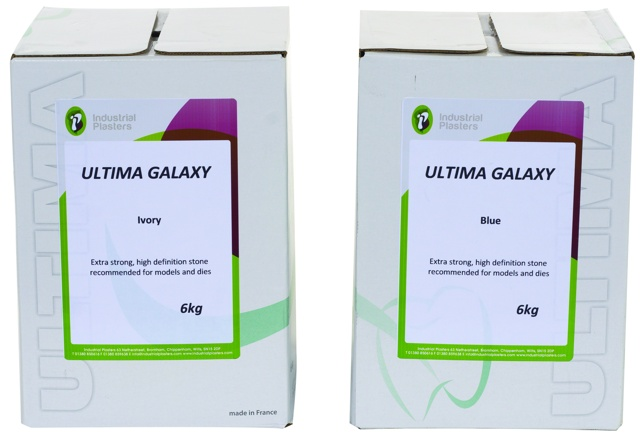 A synthetic resin diestone, extremely hard, giving high definition detail and excellent thixotropic properties. Highly recommended for models and dies. Available in Dune Yellow, Buff, Blue or Ivory.